Sure you can save your egg shells, then you can sterilize the egg shells, then you can crush the egg shells and them to bird food, suet or mealworms. Or you can save a ton of time and shake-shake calcium powder right into meal worms just prior to feeding. Some birds will actually eat the shells straight-up when sprinkled on a deck rail or on the ground below bird feeders. And some adult birds are known to eat their hatchlings’ shells as a means of keeping the nest clean and gaining calcium. Why add calcium to meal worms? So you’re trying/or have finally attracted bluebirds to you yard, Maybe you’re lucky enough have them stick around all year? Feeding lots of mealworms is calcium-depleting because they’re so high in protein. Similar to a sugar overdose for kids, too many worms can be too much of a good thing for bluebirds and others. We’re guilty on this charge! Babies need strong bones to form properly, it’s critical for first flight. Lack of calcium (via parents feeding a disproportionate amount worms vs. natural food like insects or berries) can contribute to deformities. In breeding females, lack of calcium may cause her eggs to form with thin or weak shells. This makes passing the soft eggs difficult and exhausting- sometimes even fatal. Called egg bonding, it can also happen in nature to birds who’ve never eaten from mealworm feeders. What’s the easiest way to add calcium? A simple “shake-shake” from a spice jar does it! 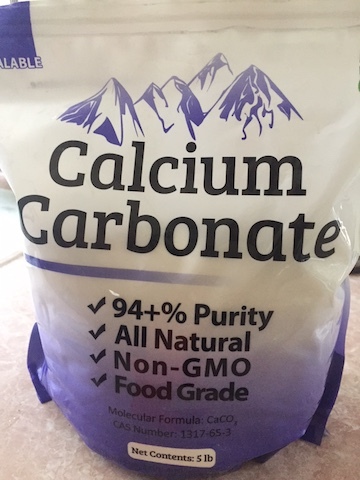 Calcium carbonate is a powder supplement readily available at most health food stores and online. Fairly inexpensive, one pound will likely last for a few years. Save one of your spice bottles and clean thoroughly. Fill the jar with powder and store the bag for future use. Two shakes into the worms and toss gently to lightly coat/dust the worms. That’s all there is to ensuring your bluebirds are getting enough calcium! So you’ve put up the house, but no bluebirds. Then you try every conceivable bluebird treat on the planet, but still no blues. You know they’re in the area, the color and song are unmistakable. So why aren’t they coming to your place? Habitat is, and will always be a key factor when trying to entice feathered friends. 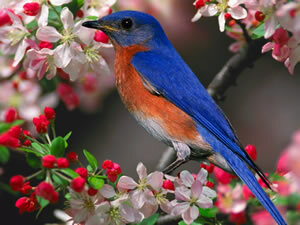 Bluebirds do prefer open spaces, with perching spots from where they can swoop and hunt insects. Fresh water in a birdbath (a consistent and clean source) is a big one. 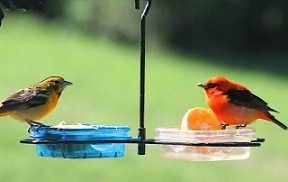 Birds who may not use feeders still require water. Shelter and cover (evergreens, trees & shrubs) are very important for protection from predators and the elements. 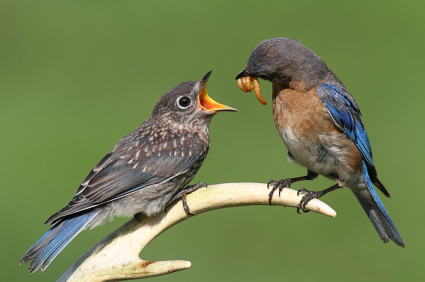 Food is the other key part, and if you want bluebirds, it may take their very favorite… live mealworms! 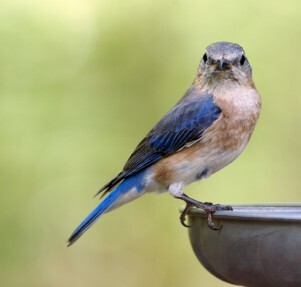 You can finally attract bluebirds and keep them coming back by offering live worms. Creepy, crawly? Maybe just a little at first, but ya get used to it fast 🙂 Handling and storing live worms is simple! The graphic below shows what to do when they arrive and how to keep them fat and happy. The worms crawl in-the worms crawl out… of some mealworm feeders! Robins, chipping sparrows, cardinals, towhees, chickadees, titmice and still others have learned that sometimes it rains worms. They’ll sit below this screened mealworm feeder and wait for the manna to fall… and it does. Not to say the design is sub-par, just maybe not the best choice for offering live mealies. Dried worms and other bluebird treats are ideal in this hanging feeder, but the tooth (screen texture) gives the live ones a good grip and path to exit stage left! 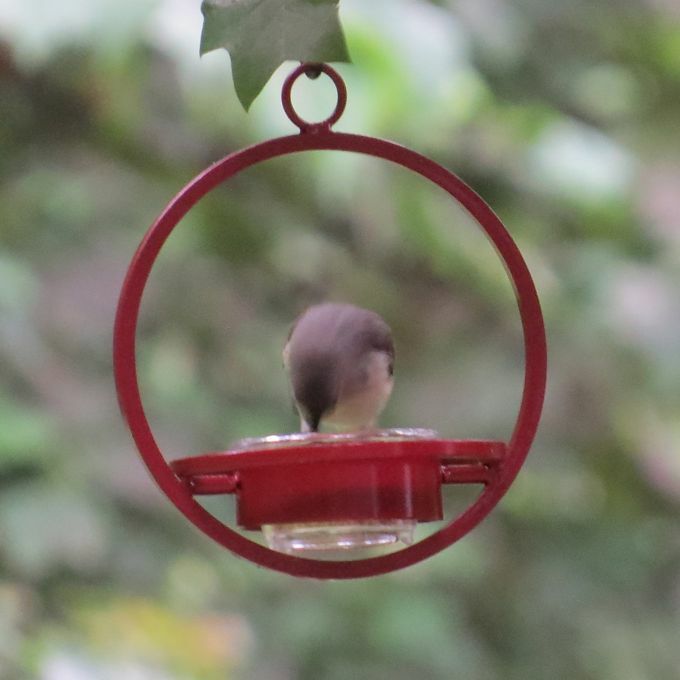 The new steel Orb Feeder features an acrylic cup, a nice smooth surface that keeps worms put, that is until titmice and chickadees discover them. And the blue dish shown above is also a nice smooth surface, one from where worms can not escape. So a good basic rule of thumb is that live worms do much better when placed on a smooth surface! Should too many worms be disappearing altogether, an enclosed feeder is likely best. 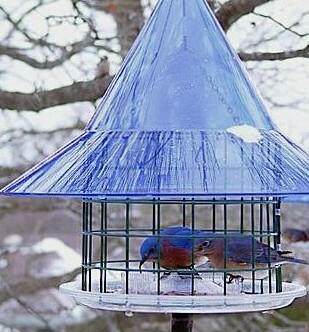 Bluebirds are one of the few who will “fly-in” a feeder. Without fail, Carolina wrens are always the first to figure it out! With so many new fledges out and about, it’s a great time to try offering mealworms if you never have in the past. One way to stretch worms and make them lat longer is to use a mixture. One of our recipes includes a no-melt suet cake (crumbled), shelled peanuts and a few sunflower hearts… the birds love it! Soooo guilty as charged below, ours gets stocked twice per day! Spoiled, spoiled birds- really isn’t the best scenario for them, it’s out of selfishness for simply wanting to observe. One 2015 resolution… lay off that mealworm feeder while weather remains mild and until there’s some nestlings for mom and dad to raise. The logic’s well explained below. Bet you thought there would be all kinds of newfangled mealworm and bluebird feeders here? Nope! Almost weird how this info was received on the heels of discovering an article on Houzz, which was titled “Feed the Birds: 6 Plants for Abundant Winter Berries” by Therese Ciesinski. These shrubs and trees not only enhance the landscape (the pics were stunning) they’ll offer birds natural food sources for years to come. Listing them here and tucking the list in my wallet for the future jaunts to the nursery! Wishing you and yours a happy and healthy 2015! Addiction can be a terrible thing… and I fear that feeding worms has actually become one! So the worms are meant for this guy, his spouse and kids. Okay, the chickadees can have some, the titmice can too because they have nestlings to feed. Brown headed nuthatches stick around their box long after babies have fledged, they’re too much and may need a permanent address? For the first time phoebe finally has a family (that I’ve actually seen anyway) so of course they must take turns at the mealworm feeder – may you grow strong and thrive little phoebes! Cardinals won’t touch worms… until they have babies to feed. The catbirds are simply out of hand, wish they’d just stick to the grape jelly! Have you ever seen 20,000 meal worms in a plastic shoe box heading for dormancy in the fridge? It’s become the norm as live worms cost less when buying in bulk. The worms aren’t bad, but the overnight shipping can kill ya! Using this open dish as one of the mealworm feeders is really just asking for it, but babies can’t figure out the enclosed bluebird feeders, or jail type ones with open grid cage. Carolina wrens certainly can, they’re always the first to figure out any new feeder containing mealies! 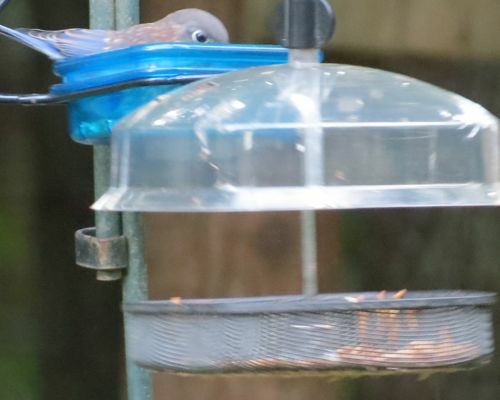 Screen feeders are nice and easy to use for humans and birds alike… but the worms crawl out! Anything with texture or tooth worms can grip allows cling and crawl action! No worries, anyone who drops to the ground meets their fate by a robin or thrasher just waiting below for the great escape! So the addiction? The grower must think I eat worms myself, the quantity has now increased to 25,000 worms a pop… and this is every four weeks or so. And I wonder why I’m broke? Bitter Morning’s Breakfast Menu with Extra Goods for the Mealworm Feeder! The birdie menu was heavy with special treats today as frigid temperatures almost did my own hands in while feeding! Fingers actually stinging, they had to be warmed by the vent to feel them again. You may say ha… it’s Atlanta and not that bad… wanna bet? Actually, this is a pretty normal AM feeding, because if there’s too much food out, the nasty starlings hog it all, so daily rations are fed twice instead. Plus everything’s freezing right now. Not an ad for Peter Pan either, this is absolutely the normal routine, (for the birdhouse chick anyway) just happen to snap a photo of it today. Finch mix, consisting of finely chopped sunflower and thistle. Lots of goldfinches, just not gold right now. Small cup of live worms for the new enclosed mealworn feeder… take that starlings! Carolina wrens are usually first to figure out these feeders. Large cup of cardinal mix for the platform feeder. Large cup of critter mix for the squirrels and a few other birds. Large cup of sunflower hearts/shelled peanut mix for platform feeder #2. Live worms for two hanging dish-style mealworm feeders. Meant for the bluebird pair and eastern phoebe, but many others partake. Sweet corn squirrel log, which is equal to about 12ears of regular corn cobs. These must be tightened up every few days as our crafty critters have managed to steal them from time to time! Small cup of bluebird banquet, suet-like mixture that’s easy to make. Check our site (under birding resources) for this recipe and more. 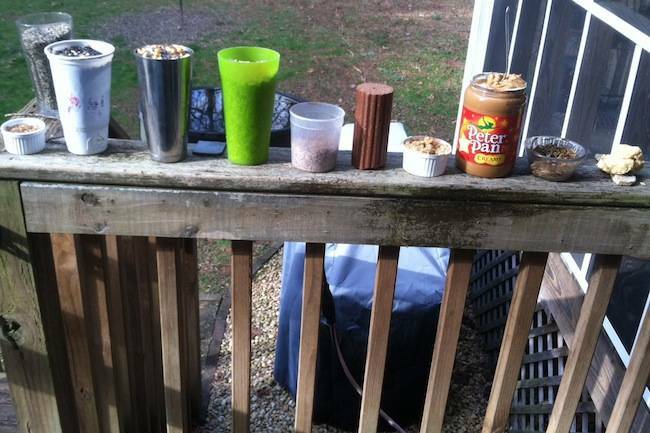 Peanut butter, slapped right on tree bark is great for squirrels and birds. High in fat and protein, these extra calories provide energy needed to stay warm. Re-hydrated meal worms for yet another dish-style feeder. Boiling water added to dry worms , steep and drain. Bark Butter and suet slice for the woodpecker feeder. Note the heated bath behind the food, and the cord running across the yard for heated bath #2 of five. Too many feeders to s how pics, let’s just say there’s a good mix! Seriously… who would make up this stuff? We spend a lot of time fussing over our birds – but it’s so worth having them around. It was so cold today that the squirrels didn’t even venture out until late afternoon. Say you have only one bird feeder, that’s perfect too, just remember the water! Birds need a fresh water source even in the coldest weather. As far as Mr. Arctic Mass, you are not welcome in the South, so please go home now! live worms escaping your mealworm feeder? Tooth, texture… that’s what it’s all about here. If the surface of the feeder is not smooth as glass, the wiggly, crawly delights get hold and simply crawl right out! Now this is a huge advantage to ground feeding birds like robins – ours actually sit and wait below the mealworm feeder. But for bluebirds, chickadees, nuthatches, warblers, swallows and titmice, they have to swoop down to catch their worms if they’ve all crawled out. So what’s the point of using a hanging dish feeder if worms end up on the ground? Not much! If you’re feeding live worms, it’s best to use a feeder that has absolutely no texture on the inside surface. Worms will stay put longer, and while juveniles are learning to use feeders, this is helpful. 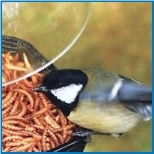 An open dish type feeder will also accommodate a good variety of other treats to entice wild birds. Oranges used in this double-dish model have orioles flocking and teaching babies where the good stuff is! Suet chunks and peanuts are also good options for winter feeding. Smooth, plexi-glass meal worm feeders like this are available in staked, hanging and even pole-mounted options. They’re durable for year-round use and dishwasher safe. Birds can perch anywhere on the dish – making it easier to land and feed. The vertical hangers are long enough to use with a weather guard, or even a baffle should squirrels be a problem around your place. If you’re on the squeamish side and can’t bear the thought of live worms, birds will also go for dried worms. In fact they pack more protein per serving! Consider a dish style mealworm feeder this season… they work great for more than just worms! Killer photo… thanks David for letting us use it for this post. 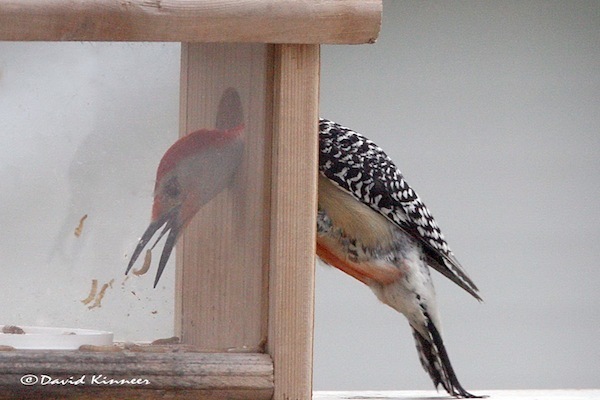 A red bellied woodpecker spears a snack of worms with that long tongue! The conversation centered around this photo had nothing to with mealworm feeders, but rather birds’ tongues. Yup, of all bird species, it’s only the woodpecker and hummingbird who can actually stick out their tongue! And the limited range of movement is straight forward at that. Box, dish, tray, cup, cage, staked, hanging, pole-mount and so on… there all kinds of feeders for offering mealworms. Live worms may find escape from open feeders, but it’s not the only reason the box or cage styles are popular. 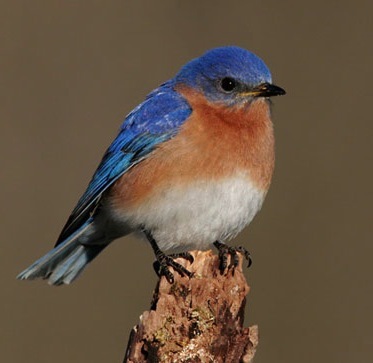 Just about every bird around will eat your worms (and pretty darn fast), so if the intention is feeding bluebirds… enclosed models are basically referred to as bluebird feeders, and they may be hung, pole-, or post-mounted. This kind of mealworm feeder keeps most birds out, as very few will actually enter a box to retrieve food. The entry/exit is sized the same as that of a bluebird house, although chickadees, carolina wrens and nuthatches will use these feeders if/when live worms are discovered! In our quest for bluebirds several years ago, housing and fresh water didn’t seem like enough. Up went the mealworm feeder, with every kind of bluebird food out there! It wasn’t until live worms became available on a daily basis the blues finally stuck around. Since then, a Gilbertson nest box and a another NABS approved wooden house have hosted many successful broods over the years. It takes an open habitat, with good perches for hunting insects. As for the hawks who nest nearby in the woods… we could all do without them 🙁 By the way, three woodpecker species totally ignore both open-dish mealworm feeders in our yard, preferring suet and nuts over live worms. Just one of the many reasons we found this photo so very cool! An extremely cool video from The Cornell Lab of Ornithology, one special catbird in California (which is rare in itself) puts on an extreme show. Known as a master of mimicry, over twenty calls are recorded, side by side with the originator…. even a frog! Pretty common in our parts during summer months, we had several resident catbirds hanging around the yard this season. Digging into suet and a jelly feeder–until the yellow jackets showed up, they then opted for worms meant for bluebirds! Crafty & smart, they’d wait and watch until the open dish melworm feeder came alive once again. Actually it became obnoxious, as the worms were for the baby bluebirds! But there were breeding pairs nearby and catbird fledges were soon at the feeder too. It sure was a busy season, likely because of diminished food sources and the horrid drought. Two leaf misters ran daily, and nine birdbaths were maintained! It was great having catbirds around, but good to see them move on as well. Check out the short video below for some excellent catbird knowledge! Smart Robin Sits Under the Mealworm Feeder! Pretty smart robin… since she can’t enter the traditional fly-in mealworm feeder, she sits directly below it on the ground and waits for escaped worms to drop! Imagine my surprise when I glanced out the window and saw her with a huge mouthful of something… my worms! But she’s got nestlings to feed as well, so hey-whatever works. Normally live worms are reserved for the bluebirds, but the heat and drought covering most of the country makes it extremely difficult on most wildlife. Actually, crickets, spiders and grasshoppers thrive in these dryer conditions, making it easier for bluebirds and other insect feeding birds. 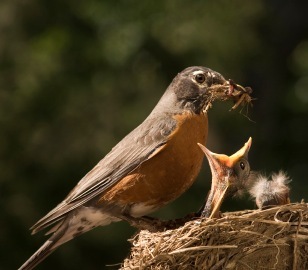 Robins on the other hand, thrive when soils are moist, making their preferred foods more abundant. One mealworm feeder is an open dish style, that’s where the baby blues first learn to eat on their own. It takes some extra time for them to learn the fly-in feeder. These look more like houses, the worms are inside and there are several entry/exit holes. Luckily nobody else (except for Carolina Wrens) ventures into the feeder. Live worms aren’t too terribly expensive… it’s the shipping that hurts your wallet! Not only must they be shipped via overnight service, but due to high temps, they must be shipped in coolers. This adds size and weight to the delivery-bumping the price even higher. 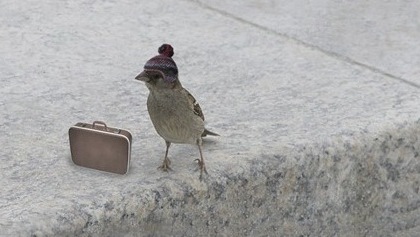 Oh… what we don’t do for our birds! By the way, during nesting season, it is advised to add calcium if you are supplementing with live worms. Some folks use crushed eggshells, but I’ve never been successful with them. 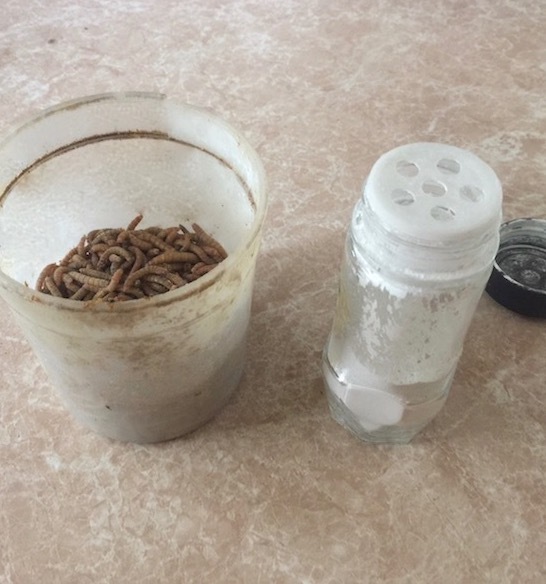 Calcium Carbonate (powder) is inexpensive, and simple to use with worms. Just shake some on the worms to lightly “dust” them prior to feeding. The calcium helps females from becoming egg-bound – eggs actually get stuck in the canal-and it’s fatal too. It also helps fledgelings grow strong bones for a better chance of survival.